the wellbeing of dogs and their humans. Sama Dog provides education, products and services to help dogs, via their human companions, to foster and maintain balance, or “Sama,” in body, mind and spirit. The state of Sama promotes optimal physical and mental health, positive behavior and an expanded human-canine relationship. We're a unique resource for living a healthy, natural, spiritual life with your dog. Our signature 6-week online class series explores and integrates six key areas of optimal wellbeing for your beloved dog. 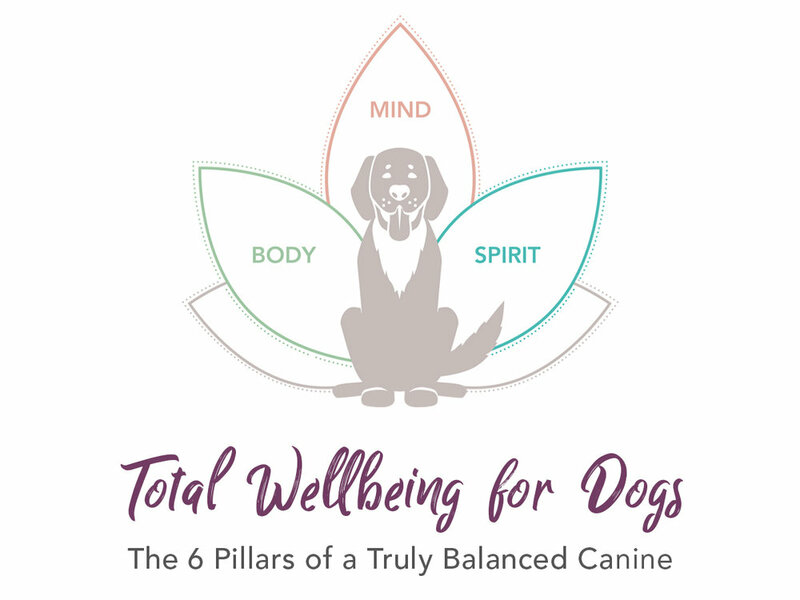 Based on Sama Dog's 6 Pillars of Dog Wellbeing. By learning and following these natural healing principles, you'll know how to provide the very best care possible for your dog while enjoying the most powerful heart-centered bond imaginable. Learn all the course details and dates HERE! Join us for our Facebook Live "Special Edition" session of Sama Saturday with Dr. Katie Kangas of Integrative Veterinary Care the second Saturday of every month. Our approach is one-of-a-kind and is based on traditional teachings from the East, namely Ayurveda, integrated with a multitude of other holistic, natural and spiritual practices to cultivate balance and health. Our founder Amanda Ree recognize dogs as our soulful companions, and shines a spotlight on the mutual impact dogs and humans have on each other’s lives, families and overall wellness. Collar Charms: Artisan-made charms include specific beads to energetically help balance the body and mind of the dog whom it adorns. Inspired by Ayurveda (a healing science of utilizing nature to balance the body and mind) these one-of-a-kind collar charms are intended to provide energy and vibrational support to suit your dog’s individual needs. Learn more and purchase HERE. Amanda Ree shares Sama Dog wellbeing tips, interviews, meditations with your pets and more WEEKLY - Saturdays at 10am PT - on the Sama Dog FB page.